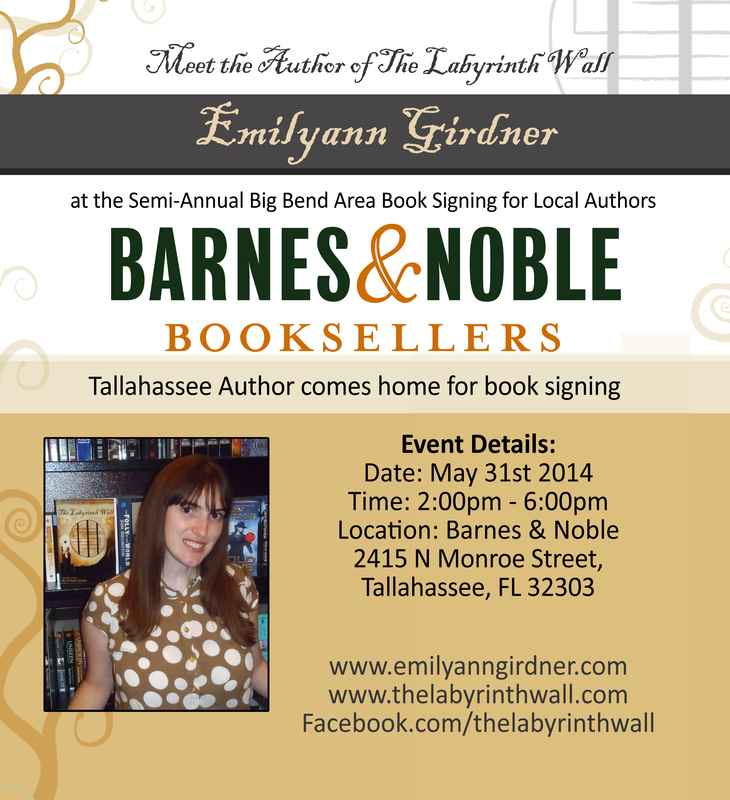 From semi-truck to the Amazon Best-Seller list, The Labyrinth Wall by Emilyann Girdner has caused a Young Adult Fantasy storm of excitement; significant turnout expected at Tallahassee Book Signing. Luminous Words Press has confirmed that Author of The Labyrinth Wall, Emilyann Girdner will be a guest at the Semi-Annual Big Bend Area Book Signing for Local Authors from 2:00pm to 6:00pm on May 31st, 2014. If you enjoy books like The Hobbit, you will definitely enjoy The Labyrinth Wall by Emilyann Girdner. Luminous Words Press has announced the first Barnes & Noble book signing for Author of The Labyrinth Wall, Emilyann Girdner. Her appearance at the Semi-Annual Big Bend Area Book Signing for Local Authors from 2:00pm to 6:00pm on May 31st, 2014 has Tallahassee’s Young Adult Fantasy Fiction fans abuzz. This will also be Mrs. Girdner’s first book signing since her debut novel hit the Amazon Best-Seller list. Tallahassee, her hometown, is expected to have a big turnout for support as the community celebrates the local author’s success. The Labyrinth Wall, which was written during Emilyann’s semi-truck traveling adventure with her husband and cat, has come a long way. In addition to landing the Amazon Best-Seller list, the book has been #2 on the Goodreads First Person Fantasy Sci-Fi list, and received high praise from Young Adult Fantasy readers. Fans of The Obsidian Series are looking forward to the second installment (release date yet to be announced). “If you enjoy books like The Hobbit (with a slightly lighter feel), you will definitely enjoy The Labyrinth Wall by Emilyann Girdner. I can’t wait to read the next book” raves one fan. In addition to The Hobbit, the book and writing style have also been compared to The Hunger Games and even Harry Potter. Fellow Young Adult Author, Crystal Collier, wrote, “Wow. This book was engaging. It's been a while since I felt COMPELLED to keep reading, but Emilyann definitely pulled that one off magnificently” (Amazon Reviews). 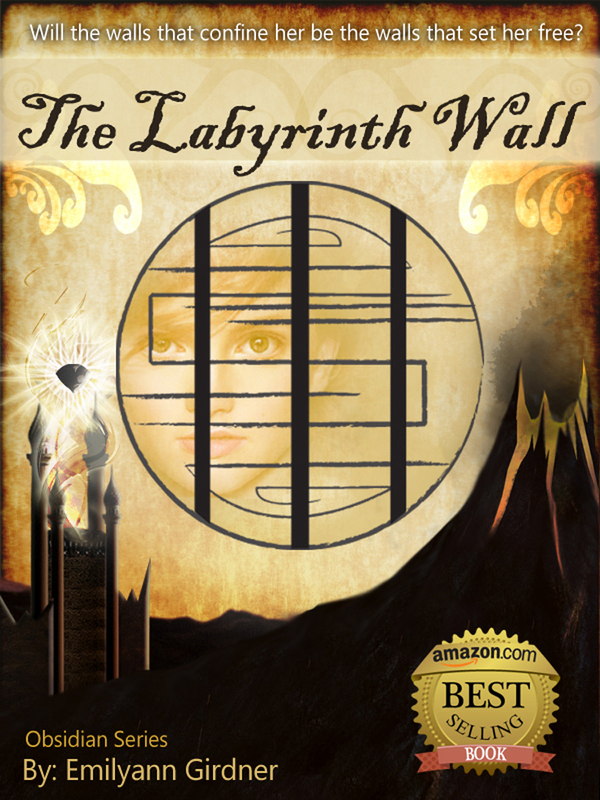 First published in January 2014, The Labyrinth Wall was an instant bestseller, appealing to both teen readers and adults. She was born in Germany and raised in Turkey until the age of five. Emilyann Girdner then spent the majority of her grade school years attending Florida High School in Tallahassee, Florida. Her writing has appeared on websites and blogs including Center for Work Life, Easter Seals Florida, MU Museum of Art & Archaeology's Musings and Examiner.com. She is the recipient of several awards and is best known for her Amazon Best-Selling novel, The Labyrinth Wall.